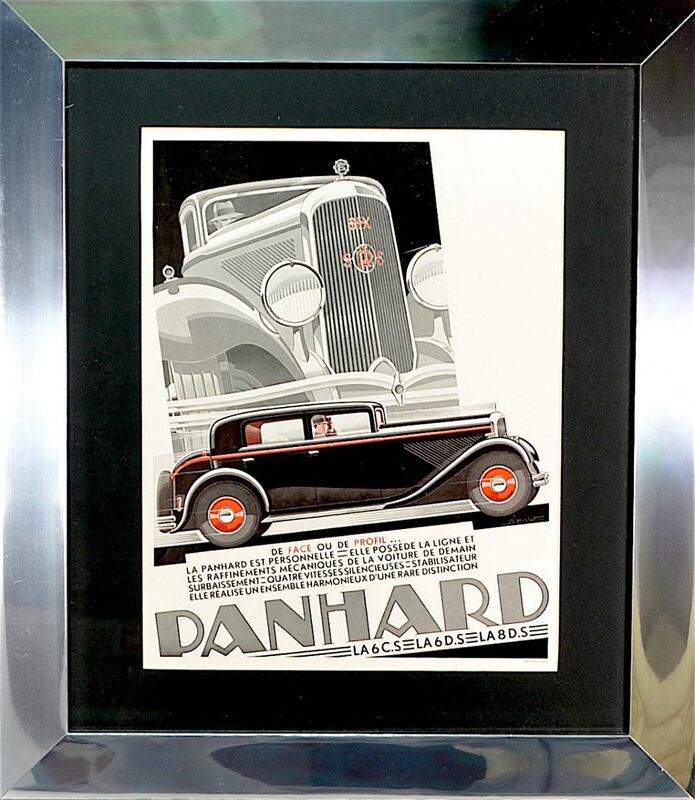 This fabulous original c1930s advert is for the French motor company Panhard and depicts a red trimmed black Panhard being driven by a man with a female passenger. There is an image of the front of a Panhard superimposed in the background in grey and red. We have had the advertisement framed with a black inner mount and a chrome frame. Very stylish image!